I got this recipe from my Mom. It was always one of my favorites, except for a very short time when pregnancy made it unappetizing. It’s back to normal standing in our house, and nearly everyone loves it. I have included crock pot instructions for those who prefer not to babysit the stove. Season beef with salt and pepper. Brown beef in a non-stick pan without adding any oil (Mom’s recipe instructions said “in its own fat”). Remove from pan and set aside. Fry bacon in the same pan until crisp. Remove bacon to paper towel to drain, reserve grease. 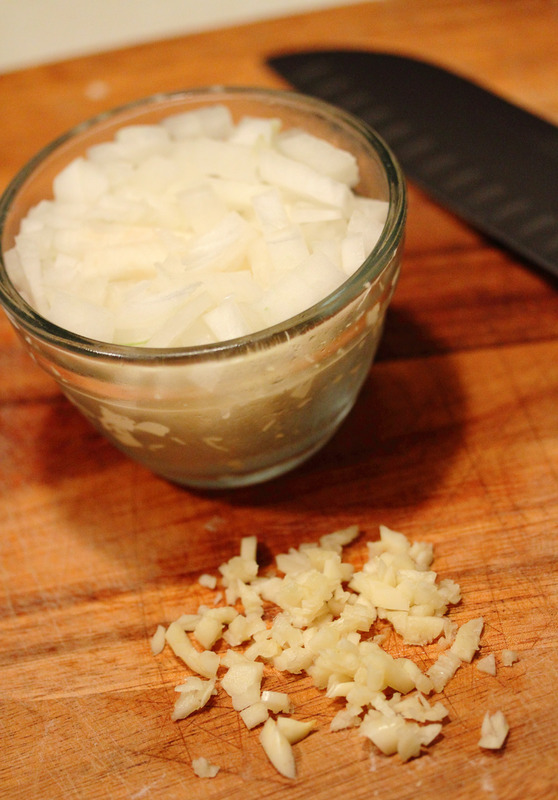 Lower heat and saute onions in the bacon fat until soft. 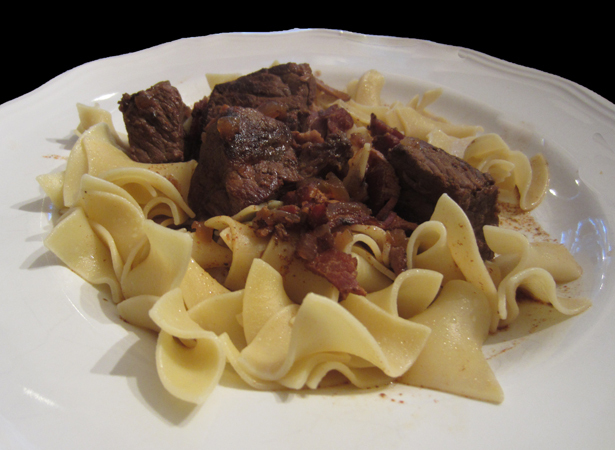 Put browned beef in the crock pot, sprinkle on 1 tbs flour & stir to coat beef, add crumbled bacon, onions, paprika and enough beef stock to mostly but not completely cover stew meat in crock pot. Add 1/2 cup red wine to the pan used to brown the meat & cook the bacon & onions on medium high heat to deglaze pan. Scrape up any brown bits and put the contents into the crock pot. Stir and taste to adjust salt and pepper to your preference. Cook on low for 8 hours, or on high for about 4 hours, until meat is tender. If you want to cook it on the stove, Use the stock pot for all of the browning (not so worried about the non-stick part this way), moving ingredients out and in as necessary, deglaze it with the red wine then dump all ingredients back into the pot and cook covered on a low simmer for about 2 or 2 1/2 hours. 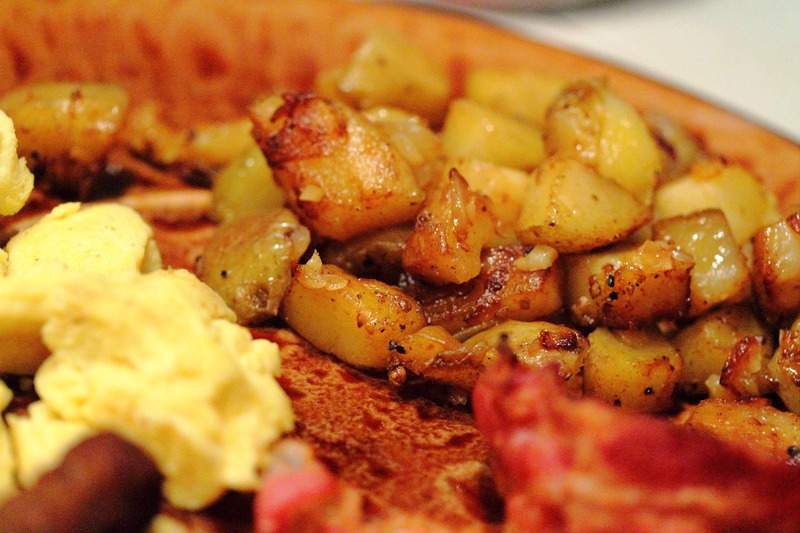 There are thousands of ways to make breakfast potatoes. But one morning, while hanging out with Jess (my sister), I realized that ingredient I was always missing was coriander. I used to add Old Bay seasoning, but have since dropped it in favor of the coriander. Now I hardly ever vary from this recipe for pan fries, except to add more spice, scallions or mushrooms. Not only do they compliment bacon and eggs beautifully, they are satisfying and they are always gone at the end of the meal. I use whole coriander seeds and crush them before adding. In a heavy skillet, heat the olive oil over medium-high heat. 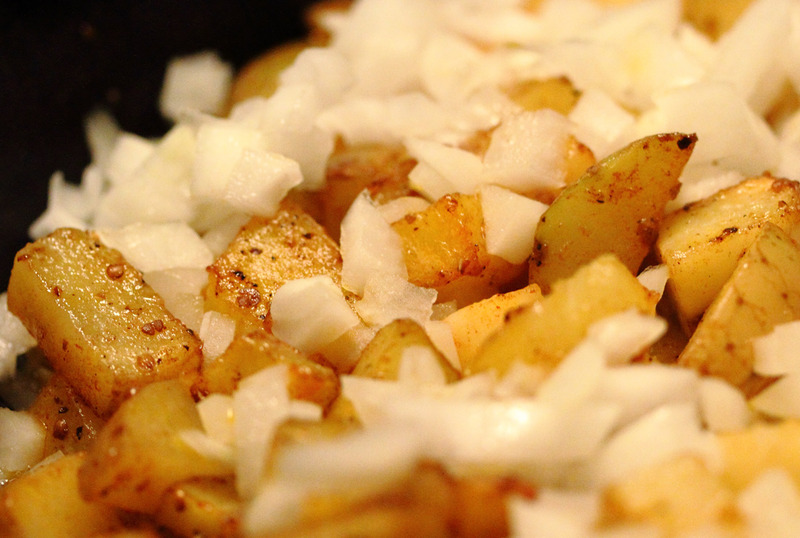 When the oil is hot, add the potatoes, salt, pepper, paprika & coriander. Using a spatula, flip and move the potatoes occasionally to brown lightly. When the potatoes are lightly browned, add the onion & continue to flip and stir occasionally until the onions are almost transparent. Add the garlic, and cook another 10 minutes. A great side-dish for eggs or pancakes. Serves 5. 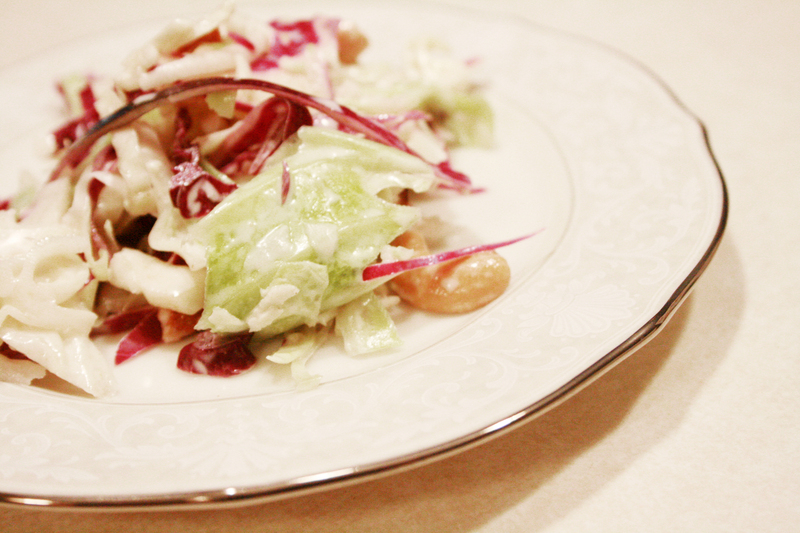 One of the most requested of my dishes for parties and pot-lucks is this Cole Slaw. It is simple to make and simply a must for any BBQ. Give it a try. Remember to keep the bacon and cashews out of the slaw until you’re ready to serve it unless you like your bacon crumbles soft. Shred the cabbage. Set aside. Combine the mayo, vinegar, mustard, sugar, celery seed, pepper and half & half. Mix until well blended. Pour over the shredded cabbage and mix well. Refrigerate for at least 4 hours or overnight. One hour before serving, add the bacon and cashews and toss.